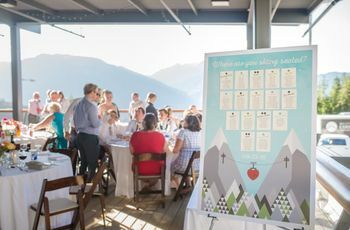 11 Creative Ways to Display Your Wedding Table Numbers or Names | Wedding Ideas ARE YOU A VENDOR? 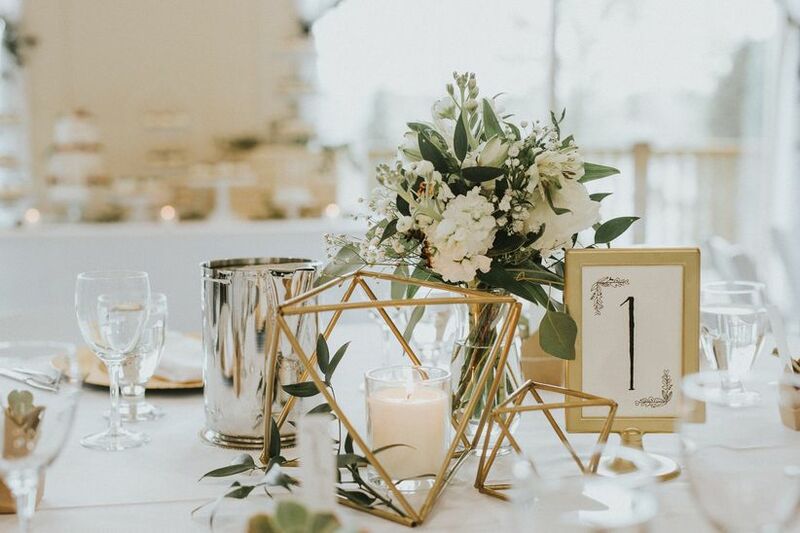 Your wedding table numbers or names won’t be the biggest pieces of decor at your wedding, but that doesn’t mean they don’t matter! Make yours into mini-masterpieces by stealing inspo from these real wedding designs. From frames to transparent blocks to wine bottles, you’re pretty spoiled for choice when it comes to options. 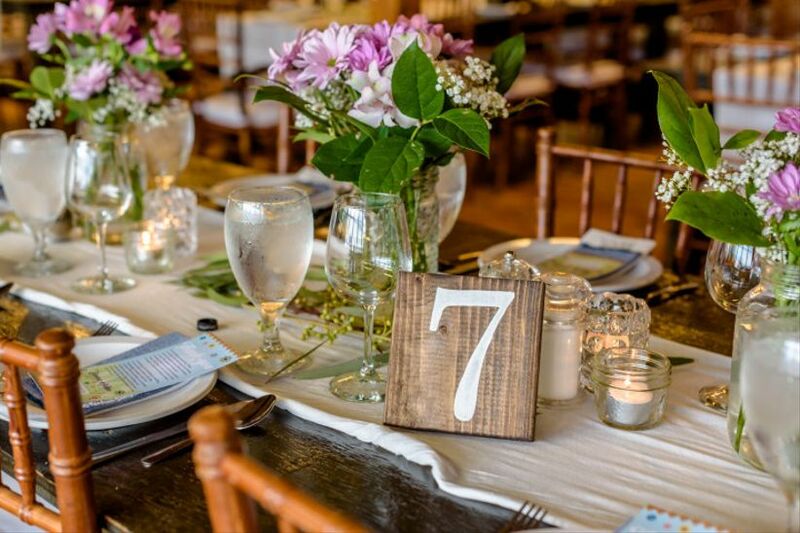 Here are a few creative ways to display your wedding table numbers or names. 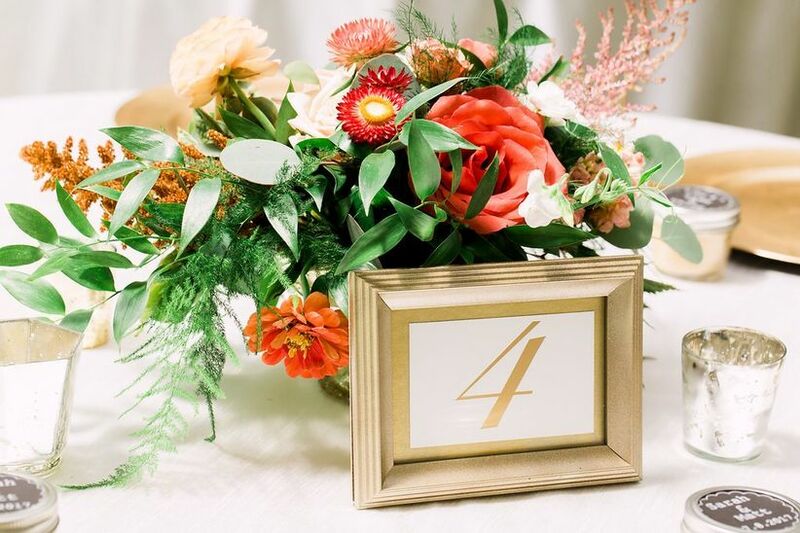 Framing your wedding table numbers or names is a tried and true way to go. Simply hunt down frames that fit the style of your big day (i.e. gold and embellished for an elegant affair) and place your signage inside. We love the idea of mixing and matching so that each one has a different feel. You can achieve pretty much any style of signage with a laser cutter. Looking for something edgy and industrial? Go for metal signs (like these). 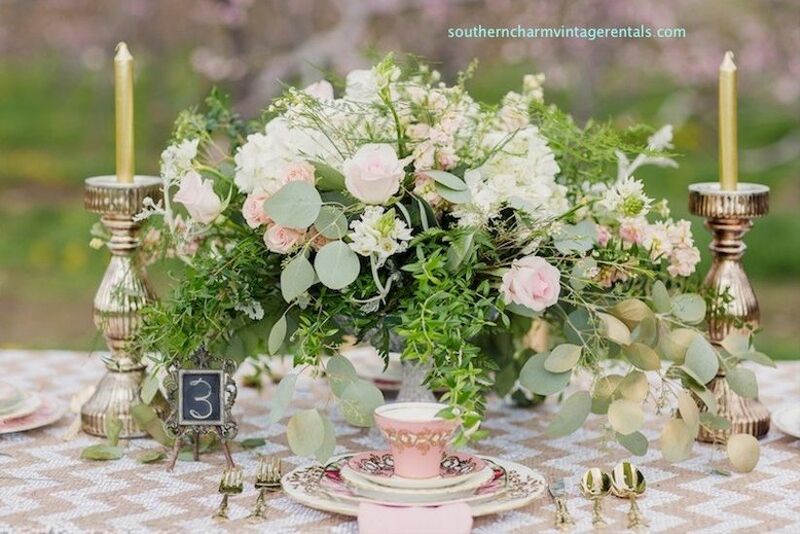 Or maybe you want your decorations to look dreamy and whimsical? Get your wedding table numbers or names cut out in a flowery, cursive font. 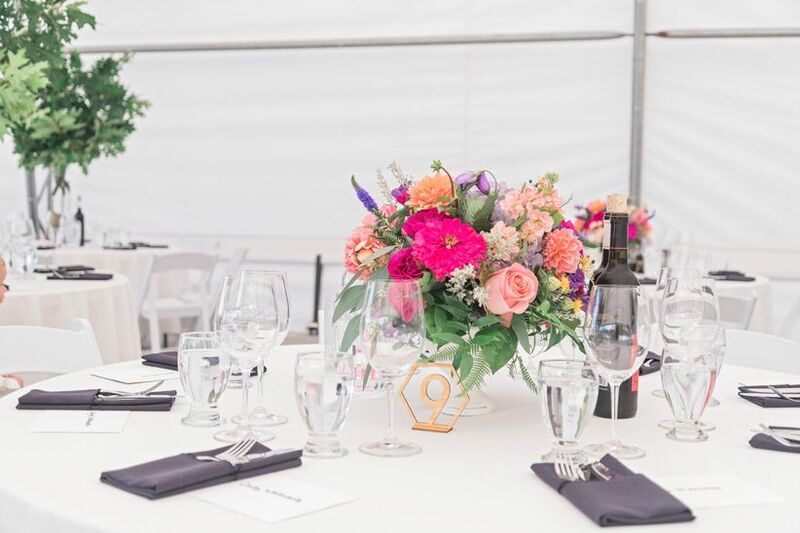 The transparent wedding decor trend is taking the bridal world by storm! 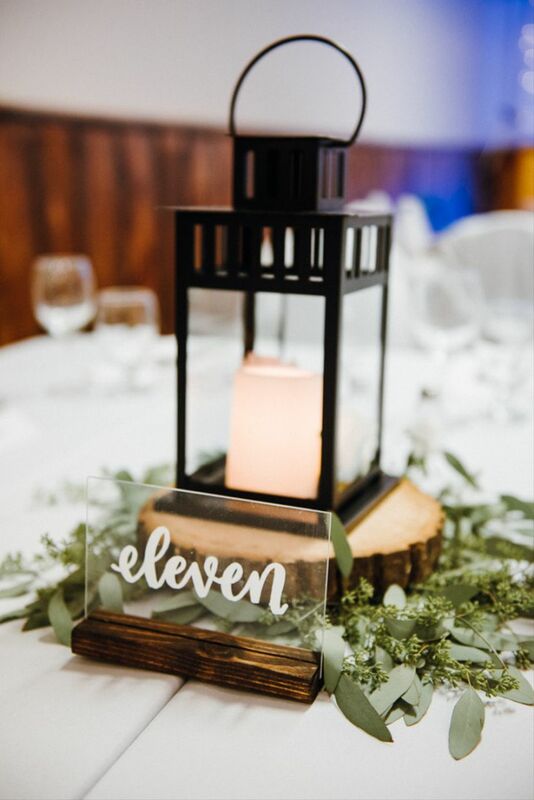 Jump on the bandwagon by using acrylic blocks to write your wedding table numbers and names on. If you love that new age boho look, geodes and crystals are awesome options. 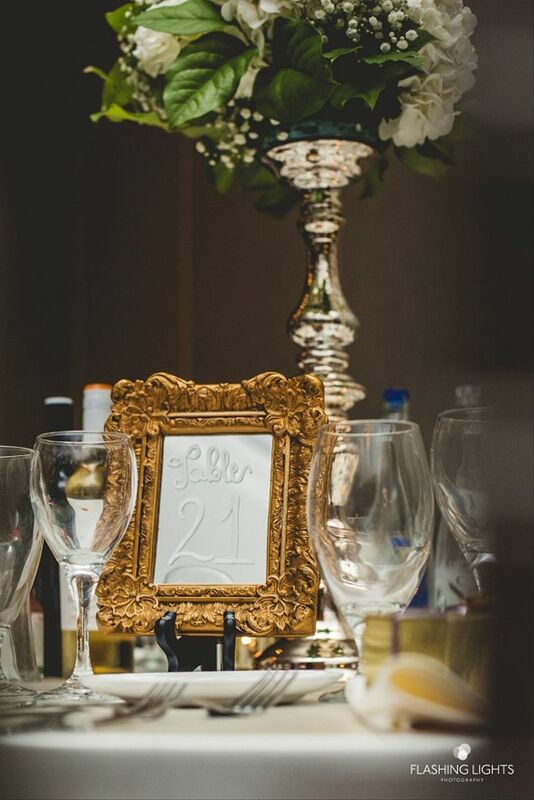 You can paint your wedding table names or numbers directly onto them or use them as holders, if you’d prefer to use paper cards, instead. 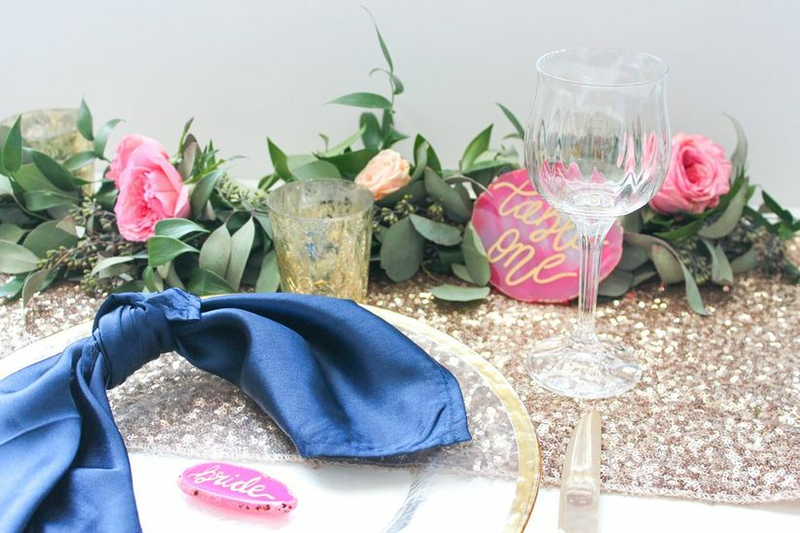 Wedding chalkboards are a decor favourite for everything from welcome signs to seating charts, but did you know you could use them for wedding table numbers and names, too? Keep in mind you’ll want to find small enough boards so that your signage doesn’t take over your tablescapes. 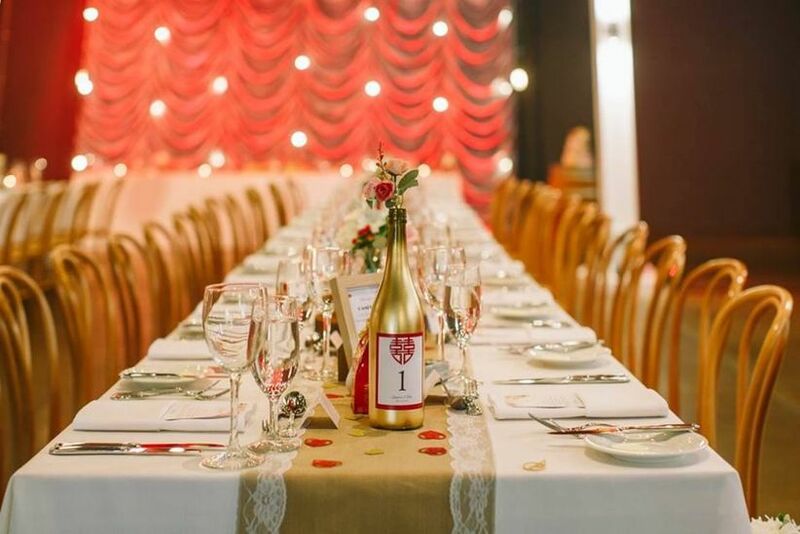 Hosting a winery wedding? Why not use bottles to display your wedding table numbers and names. If you save all the empties from your pre-wedding parties, you’ll probably have enough to DIY them yourselves. Pro tip: you can achieve the same look with beer bottles or any other glass vessels you have on hand. 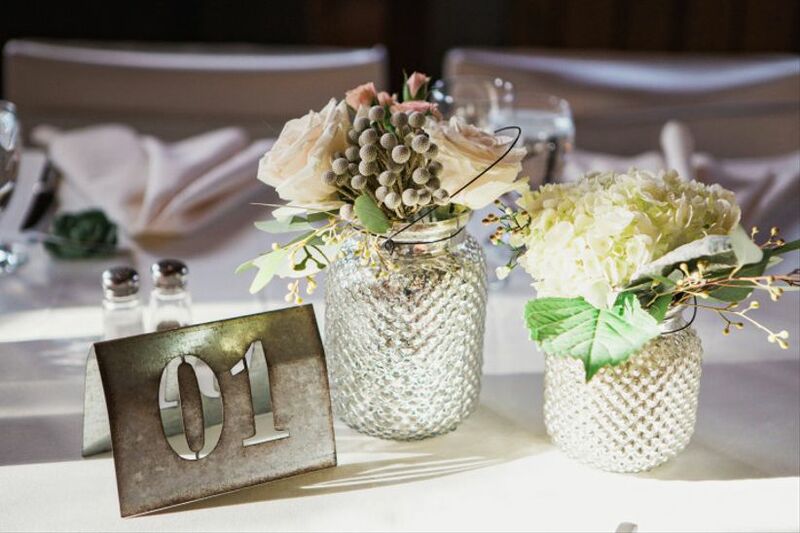 Reflect those stunning tablescapes you worked so hard to create by using mirrors in your wedding decor to display your wedding table numbers and names. They work for modern themes, vintage receptions and every style in between. 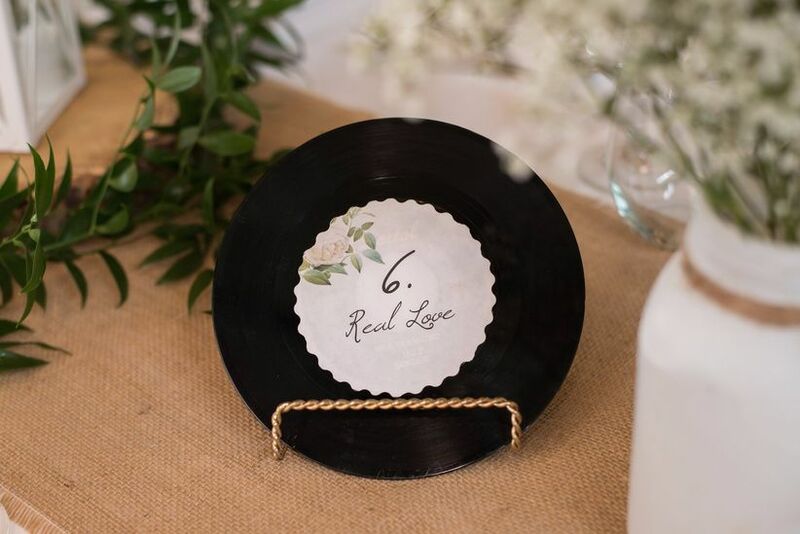 Show off your love of music by using records or CDs as the base for your wedding table numbers or titles. P.S. you totally get bonus points if you name your tables after your favourite musicians or songs. 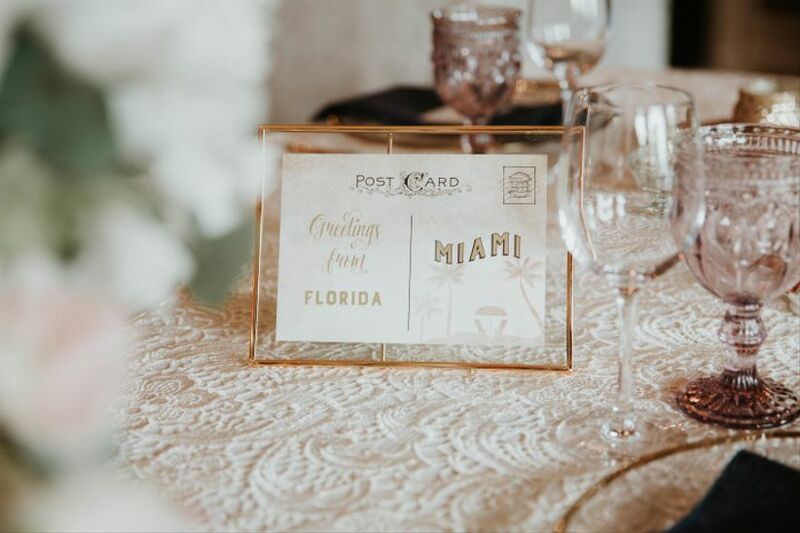 If you and your partner are total jet setters, use postcards to show off your wedding table numbers or names of your favourite places. 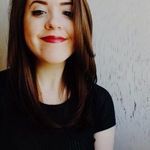 You can find cool vintage ones at antique shops, order glossy custom options from a stationery pro or create them at home with a little DIY magic. 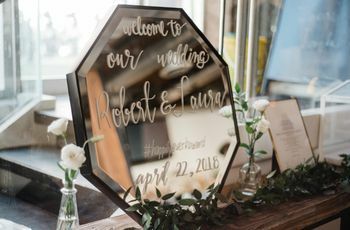 For a trendy, modern take, use octagons, hexagons and parallelograms as the bases for your wedding table numbers or names. You can opt for laser cutouts or paint them onto cool, geometric vases or votives. 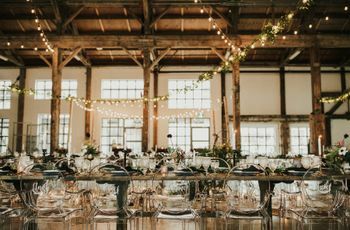 Hosting a rustic-chic wedding? 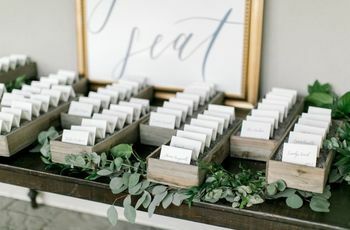 Wooden plank wedding table numbers or names are the way to go. If you want them to look even more woodsy, you can write them onto wood slices like these, instead.